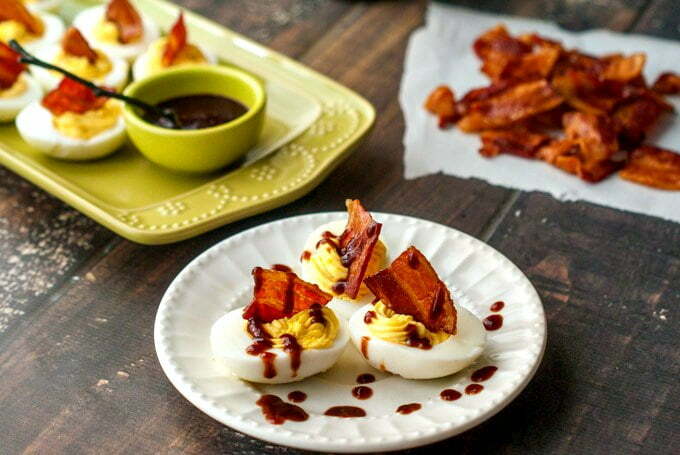 Try this delicious low carb appetizer of bbq bacon cheddar deviled eggs! A fun and tasty finger food that’s super easy to make. Only 0.7g net carbs per serving. 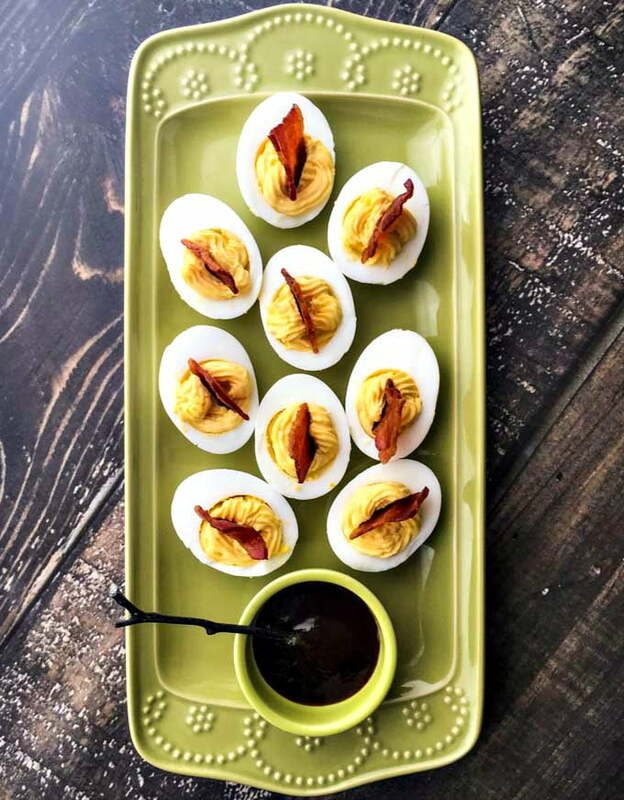 I was on an egg kick last week and thought about making deviled eggs. I was trying to come up with a little twist on the usual and remembered a good bbq bacon cheddar burger I saw advertised. That how this low carb bbq bacon cheddar deviled egg dish was born. All I can say is that these are delicious! The cheddar is subtle but goes great with the bacon and bbq sauce. It’s a dish everyone will love. I think the bbq sauce goes great with these eggs but it is high in carbs. However I have a low carb bbq sauce that I make myself that you can use. I think it’s delicious but there are also sugar free bbq sauces on Amazon. If you serve regular sauce on the side then you can just skip it if you are watching your carbs but it will be there for everyone else. Now I wanted to bring up the cheese. 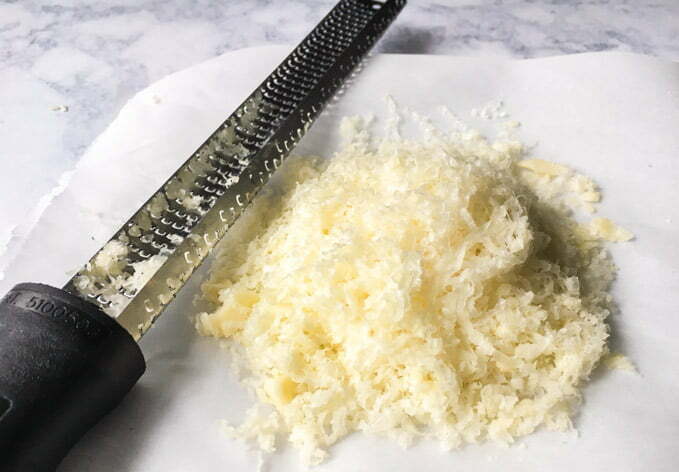 I used a sharp white cheddar cheese and grated it using a microplane or zester/grater. You can see how full and fluffy it is from the picture below. That is only 1 oz of cheese! But more importantly it makes it easier to mix the cheese in with the yolk mixture. So the finer the grate the better. Using a microplane or zester, grate your cheddar cheese. Cut hard boiled eggs in half lengthwise and scoop out the yolks. Mix yolks, cheddar and mayo in a bowl and then stuff the egg whites. Top with a piece of cook thick bacon. Serve with low carb bbq sauce on the side. 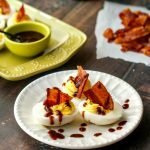 Try this delicious low carb appetizer of bbq bacon cheddar deviled eggs! A fun and tasty finger food that's super easy to make. Only 0.7g net carbs per serving. Cut bacon into fourths and place on a foil lined cookie sheet. Bake for 25-30 minutes or until crisp. Scoop out yolks and add to a bowl with cheddar and mayo. With an icing bag or spoon pipe the yolk mixture back onto egg whites. 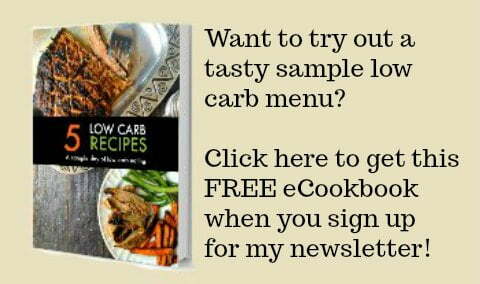 Add a slice of cooked bacon and serve with low carb bbq sauce. * Note using a microplane will finely grate the cheddar cheese and make it easier to mix with the egg yolks and mayo. **I made my own low carb bbq sauce that you can find the link in this post. You can use another low carb bbq or just skip this altogether because regular bbq sauce is very high in carbs. These are perfect to bring to a party. Thank you Patti! They were quite tasty. OMG. 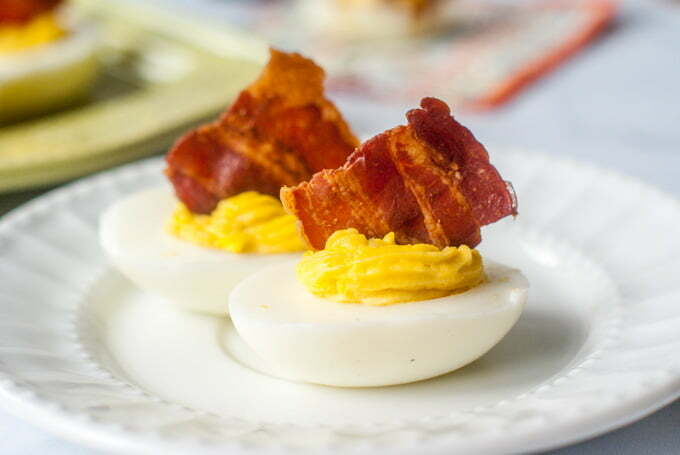 Bacon and deviled eggs.. why have I not seen this sooner??? I’m not sure about the BBQ sauce, but cheese, eggs and bacon is a winner with me!! They are good with out the bbq sauce but I did think it was better with it.